$4,800 off MSRP! Priced below KBB Fair Purchase Price! 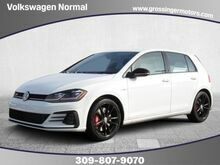 Tornado Red 2018 Volkswagen Golf TSI S 4-Door 4D Hatchback 1.8L 4-Cylinder TSI DOHC 16V Turbocharged FWD Black Cloth.Since 1928, drivers have trusted, family owned and operated, Grossinger for all their car buying needs. We always offer our owners complimentary car washes, pick up and drop off of your vehicle (within local service area) for service and much more. Plus Grossinger will even deliver your new vehicle to your home or office. That's why for 90 years, customers say for great service, selection and always a low price, "You go to Grossinger." $2,549 off MSRP! Black Pearl 2018 Volkswagen Tiguan Limited 2.0T 4D Sport Utility 2.0L TSI DOHC AWD 4Motion 19/25 City/Highway MPGSince 1928, drivers have trusted, family owned and operated, Grossinger for all their car buying needs. We always offer our owners complimentary car washes, pick up and drop off of your vehicle (within local service area) for service and much more. 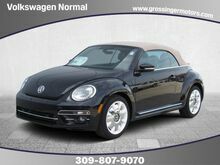 Plus Grossinger will even deliver your new vehicle to your home or office. That's why for 90 years, customers say for great service, selection and always a low price, "You go to Grossinger." $2,650 off MSRP! 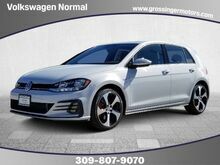 Platinum Grey 2019 Volkswagen Tiguan 2.0T SE 4D Sport Utility 2.0L TSI DOHC AWD 4Motion AWD. 21/29 City/Highway MPGSince 1928, drivers have trusted, family owned and operated, Grossinger for all their car buying needs. We always offer our owners complimentary car washes, pick up and drop off of your vehicle (within local service area) for service and much more. Plus Grossinger will even deliver your new vehicle to your home or office. That's why for 90 years, customers say for great service, selection and always a low price, "You go to Grossinger." $3,948 off MSRP! Priced below KBB Fair Purchase Price! Platinum Gray 2018 Volkswagen Tiguan 2.0T SE 4D Sport Utility 2.0L TSI DOHC AWD 4Motion AWD. 21/27 City/Highway MPGSince 1928, drivers have trusted, family owned and operated, Grossinger for all their car buying needs. We always offer our owners complimentary car washes, pick up and drop off of your vehicle (within local service area) for service and much more. Plus Grossinger will even deliver your new vehicle to your home or office. That's why for 90 years, customers say for great service, selection and always a low price, "You go to Grossinger." $4,545 off MSRP! 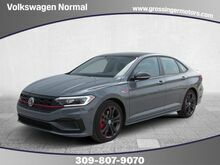 Reflex Silver Metallic 2019 Volkswagen Passat 2.0T SE R-Line 4D Sedan 2.0L I4 TSI Turbocharged FWD Titan Black w/Perforated V-Tex Leatherette Seating Surfaces. 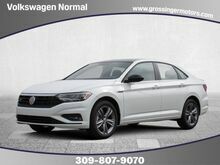 25/36 City/Highway MPGSince 1928, drivers have trusted, family owned and operated, Grossinger for all their car buying needs. We always offer our owners complimentary car washes, pick up and drop off of your vehicle (within local service area) for service and much more. Plus Grossinger will even deliver your new vehicle to your home or office. That's why for 90 years, customers say for great service, selection and always a low price, "You go to Grossinger." $4,315 off MSRP! 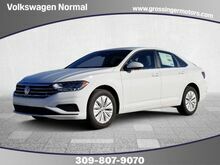 Platinum Grey 2019 Volkswagen Passat 2.0T SE R-Line 4D Sedan 2.0L I4 TSI Turbocharged FWD 25/36 City/Highway MPGSince 1928, drivers have trusted, family owned and operated, Grossinger for all their car buying needs. We always offer our owners complimentary car washes, pick up and drop off of your vehicle (within local service area) for service and much more. Plus Grossinger will even deliver your new vehicle to your home or office. That's why for 90 years, customers say for great service, selection and always a low price, "You go to Grossinger."